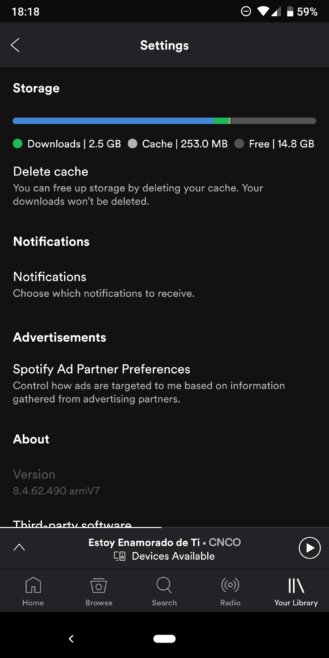 Astute Android geeks should know that you could already head over to the device's settings, find Spotify in the list of apps, tap on Storage, and then clear cache. But you never really knew what you were giving up there. 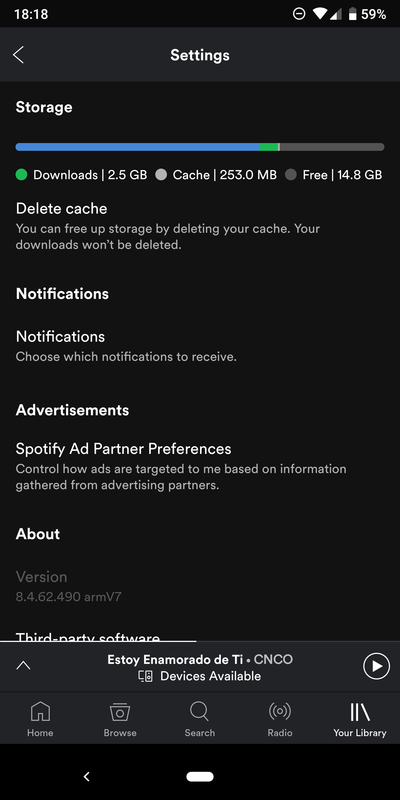 Was it only the app's cache of media and data from your searches, was it the streaming cache, or maybe both? With the new settings option inside the app, you can trust that it's more of an official way to remove unwanted data. There's a filled bar with your used storage, your Spotify downloads, the app's cache, and your free storage. If you compare the numbers to the app settings ones on Android, you'll find a bit of discrepancy, so Spotify might be calculating certain things differently. 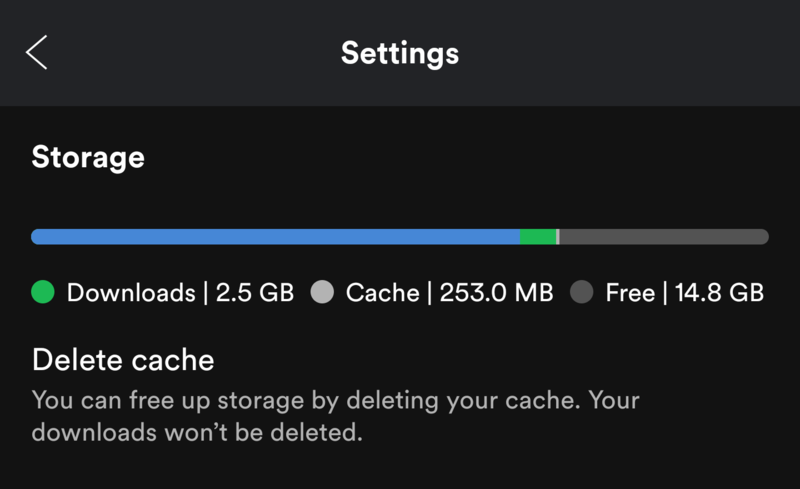 Left: Delete cache and saved data (before). 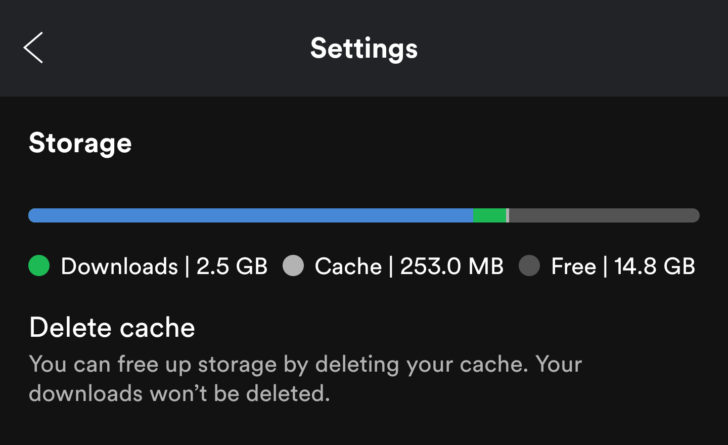 Right: Storage, Delete cache (after). Regardless of that, tapping on Delete cache will remove the superfluous data and leave you, technically, only with your offline downloads. 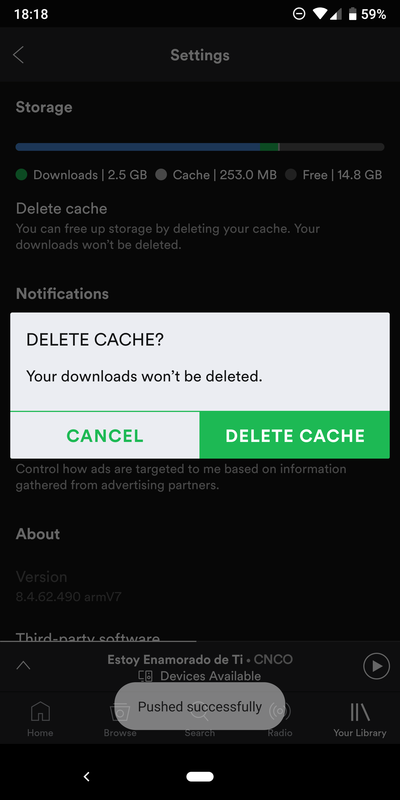 Left: Deleting cache only. Right: Storage occupation after deletion. The option showed up sometime in the past few weeks. 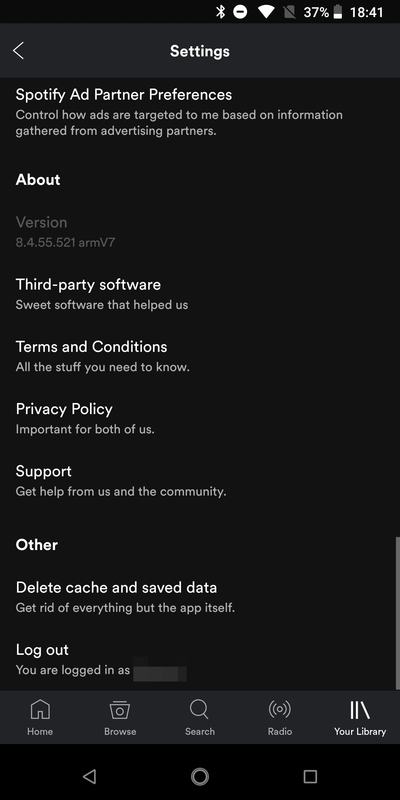 Just a month ago, there was a request for it in the Spotify community and a mod replied saying he'll pass the feedback to the team. Now, it's working (both our tipster and I are on v8.4.62.490). If this and the track reordering wish/resolution stories are a sign of the Spotify Android team finally listening to requests, maybe it's time we all hit up the community forums with our long lists.